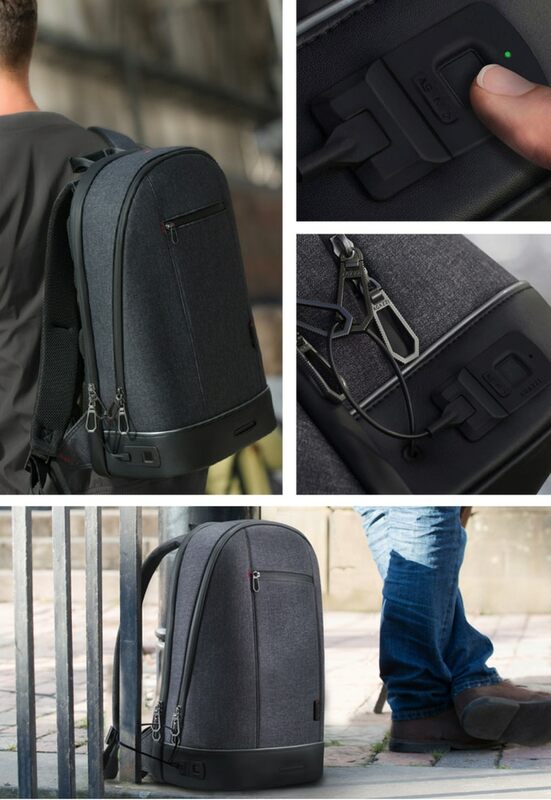 By any standards, however, the Agazzi backpack is…a lot. It’s like the Samsung of backpacks. It’s big, brash, pricey. It looks pretty cool and has a lot of features — some of which appear to be included solely for the sake of inclusion. But if you’re going to buy a $246 bag from Kickstarter, you’re going to want the bells and whistles. And that, mind you, is the early-bird price. The company says the “Pro” version will run $460 at retail. I balked a bit at the Timbuk2’s $200 price tag, mind. Granted, it’s probably still easier to get into a backpack than to spoof a phone, but I can see the value in being able to tether the thing to, say, a rail, so I don’t have to take my backpack with me every time I go to the bathroom. The Verge played with a preproduction version and says it works reasonably well.